what would i give to be a kid again? 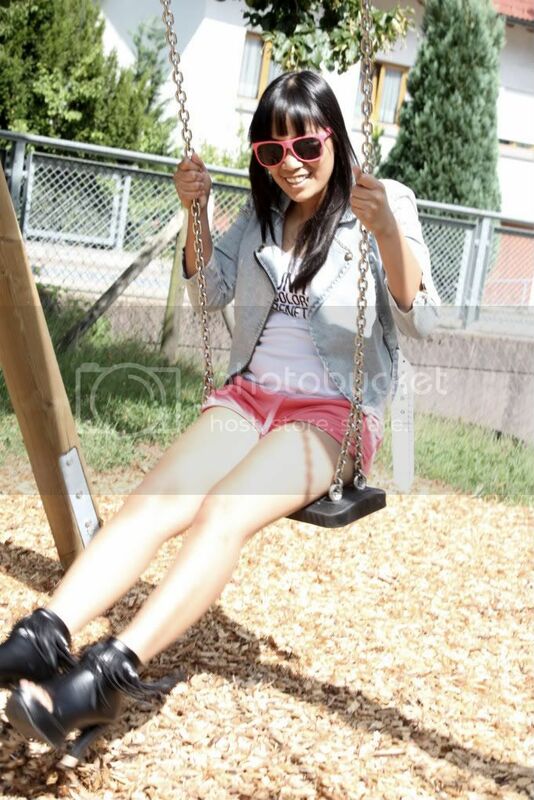 swings, abnormal amounts of neon pink and ICE CREAM! thank you for all the lovely compliments on miguel. as he is one of the things, i think i have done good in my life. Well aren't you cute matching your shorts to your sunnies?? It must be hardwork to be a mom but well worth it everyday :) -- Christine What Was I Thinking? cute overload. i love the playful theme of this set. And that is so sweet with Miguel. 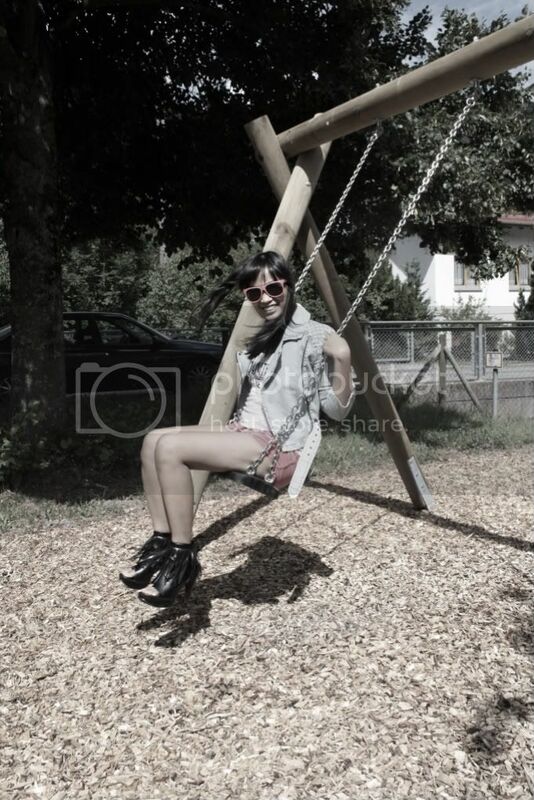 Haha I love swings! Nice jacket you've got! OMG hang ON!!! are those Alexander Wang´s Alexis fringe boots!?!?! I think I´m drooling over my keyboard......... FIERRRRRRRRRRRCEEEE!! Love your boots and sunglasses... I know that you have done a lot of good things in your life :) this is not the only but pheraps the most important isn´t it? Adorable, love the pink with the fringe boots. Parks are so much fun are they not? love your sunglasses and jacket! what a fun outfit- and playgrounds make me so happy! I especially love it when they have those "phones" where you can communicate through little tunnels. Those are so cool. ps. your son is so adorable! Love the boots & sunnies - great pics! 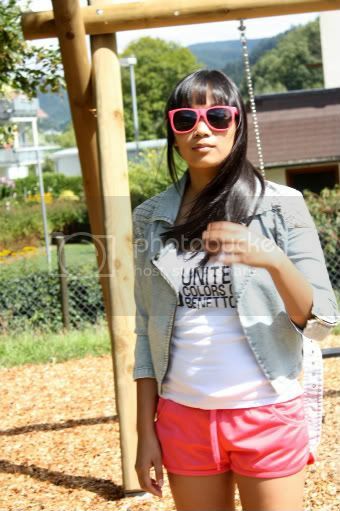 you look so cute yet stylish on the swing =D love it ! love love lovee yours shoes. nice shoes, cool glasses and short!